The 10-bout lineup for the UFC’s long-awaited return to Abu Dhabi has been finalized. “UFC Fight Night: Nelson vs. Nogueira” takes place April 11 at a yet-to-be announced venue in Yas Island. 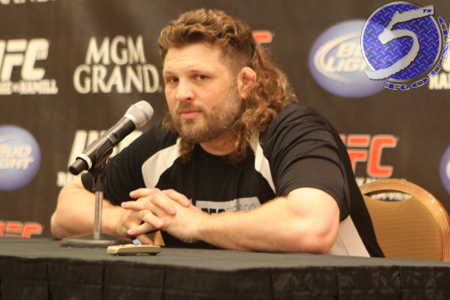 The show features a heavyweight scrap between Roy Nelson (pictured) and Antonio Rodrigo Nogueira. Featherweights Clay Guida and Tatsuya Kawajiri serve as the co-main attraction. No word if the event will be made available for live viewing in America via Fox Sports 1, Fox Sports 2 or exclusively on UFC Fight Pass. Most likely, the latter. Here is the show’s official agenda.